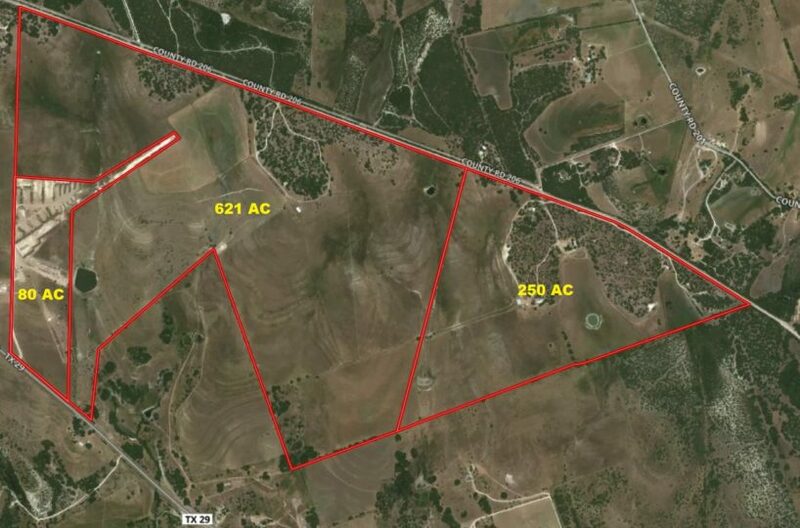 FEATURES: Property is just west of the growing City of Liberty Hill. Approximately 1,650 feet of frontage on Highway 29 and just over a mile (5,600+/- ft) on County Road 206. Additional features include five tanks and five water wells on the property. Included with the sale are the following improvements- 4,000 SQ FT house, 2,500 SQ FT house, and 2,000 SQ FT barn with living quarters.